The recent furor over District of Columbia high schools issuing dubious diplomas has prompted pundits to declare a decade’s worth of school reform in the nation’s capital a failure, a refrain repeated in the wake of a new revelation that Washington’s chancellor exploited his position to get his daughter into a highly sought-after school. But tying these problems to the city’s school reforms is a mistake. It discounts real improvements in the city’s school system, ignores the tremendous challenges facing some of the city’s secondary schools, and distracts from the hard work required to graduate students truly qualified for what comes next. Last week’s sobering report from the Office of the State Superintendent of Education (OSSE) found that fully a third of the city’s 2017 graduates earned a diploma despite racking up more than 30 school days worth of unexcused absences (which should have triggered failing grades under the District of Columbia Public Schools’ policies) or earning credits through bogus makeup work. That’s a big problem (and certainly not one unique to Washington). But the bulk of the city’s school reforms over the past decade have focused elsewhere, on building a pre-kindergarten system, creating new curriculum materials and instructional strategies and, above all, improving teacher quality—work that’s largely unrelated to high school attendance. Nor, contrary to recent commentary, have these reforms been in place for a decade. The city’s new curriculum wasn’t fully implemented until 2014-15, and an ambitious new initiative that has teachers working together in teams to strengthen their instruction is in only its second year. But the reforms launched under then-Chancellor Michelle Rhee and greatly expanded by her successor, Kaya Henderson, have already produced meaningful improvements. Most significantly, they have transformed teaching in Washington from a low-status occupation marked by weak standards and factory-like work rules into a performance-based profession that provides recognition, responsibility, support, and significant compensation, with some starting salaries now as high as $75,000 and top pay climbing from $87,000 to $134,000 (and higher in the city’s year-round schools). No longer are the school system’s strongest teachers leaving in droves for charter schools and the suburbs. In 2015-16, more than 37 percent of DCPS’s teaching force was rated “highly effective,” and the school district lost only 6 percent of that top talent. In contrast, nearly half of the district’s “minimally effective” teachers departed voluntarily. Researchers have found that replacements for low-rated teachers have produced four or five months’ worth of additional student learning in math and nearly as much in reading over three school years. Leaders of the city’s best charter schools say they’re now struggling to compete for talent. These and other improvements have changed the academic trajectory of many of the city’s younger students. Since 2007, the proportion of D.C. students scoring proficient or above on the rigorous and independent National Assessment of Educational Progress (NAEP) more than doubled in fourth grade reading and more than tripled in fourth grade math, bringing Washington up to the middle of the pack of urban school districts at that grade level, while the city’s black students largely closed gaps with African American students nationwide. Enrollment, meanwhile, has risen in recent years, after four decades of decline, and more affluent families are putting their students in the city’s public schools, a sign of growing confidence in a DCPS education. 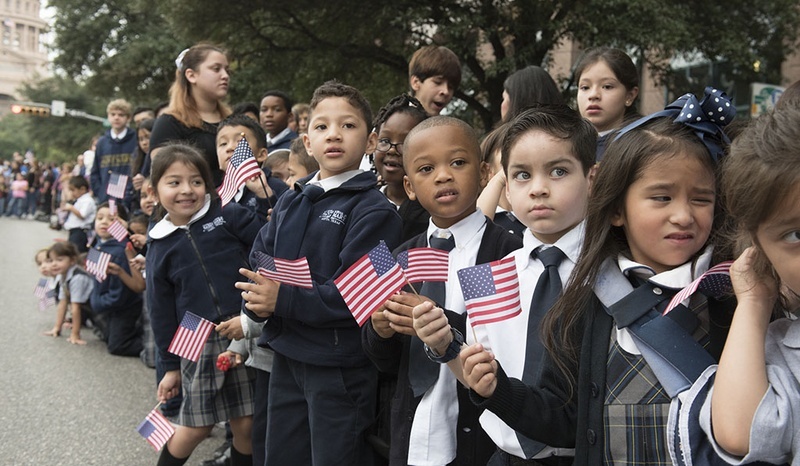 While critics charge that the shifting demographics account for the rising test scores, no less than threeanalysessuggest that’s not the case, that the gains transcend demographics. These improvements represent the beginning of a long climb to academic credibility. The city’s many impoverished African American and Hispanic students continue to lag far behind their white counterparts, who typically live in much more affluent families. But the trends are positive. The poverty that envelops so many of Washington’s students of color is an important part of the recent graduation controversy. The graduation policy violations are concentrated in the neighborhood high schools serving the city’s most disadvantaged communities. Many of these students arrive without the math or reading skills they need to complete high-school level work. Those with the most ability and agency often leave for other schools. Take Ballou High School, ground zero for the diploma controversy. Nearly half of high school students in the city’s Ward 8, which Ballou serves, attend charter schools. Another 10 percent are in the city’s selective high schools. These are choices that expand opportunities for the students, but they leave Ballou as effectively a school of last resort for those who don’t leave or who are forced to return after struggling academically or behaviorally elsewhere. The reforms that have ratcheted up achievement in Washington’s lower grades should bring stronger students to the city’s high schools in the coming years. And Henderson did make academic improvements in the city’s high schools before she departed, adding foreign languages, advanced placement courses, and electives (though in 2016, only 17 students in eight of DCPS’ nine neighborhood high schools managed to pass at least one AP test). But these steps to increase rigor are clearly not enough. Instead of watered-down “credit recovery” courses, DCPS should follow Chicago Public Schools and give students extra reading and math every day, beginning in the ninth grade. Students who learn they’re hopelessly behind when they arrive in high school are more likely to give up and not show up. In Chicago, a daily double dose of algebra led to higher graduation and college enrollment rates. Baltimore and other districts are increasingly deploying data systems that share with schools their absenteeism rates and information to track the courses students need to graduate. Long a patronage-plagued and largely dysfunctional bureaucracy, the DCPS central office has attracted substantial talent in recent years. But the OSSE report details multiple failings in the school system’s high school office, from faulty communications to lax oversight. Many teachers, for instance, told OSSE that they didn’t know whether student absences were excused or unexcused absences (only unexcused absences count against graduation). They also told OSSE investigators that principals pressured them to pass chronically absent students. That’s an oversight problem. DCPS teachers are not evaluated on graduation rates, but principals can base a small portion of their teacher ratings on the number of students passing courses, and a few have. Chancellor Antwan Wilson recently removed that element from the teacher evaluation process. Principals, on the other hand, are eligible for bonuses of up to $30,000 a year, based in part on their schools’ graduation rates. OSSE found that no principals benefitted from performance bonuses due to graduation policy violations in 2016-17, but cautioned that DCPS needs to be watchful. 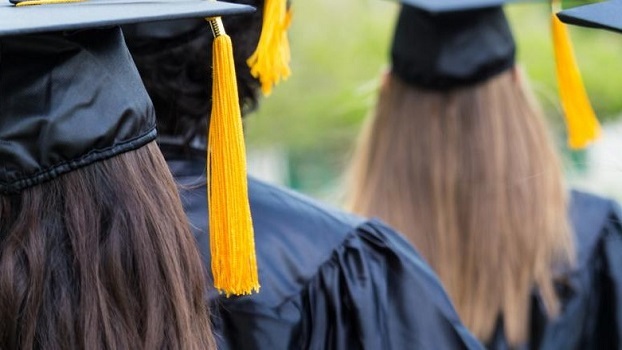 It is perfectly appropriate to hold high school leaders accountable for graduation rates and reward them for doing a good job—as long as their goals are reasonable. But as DCPS learned early in the Rhee era, when it entrusted schools to administer high stakes tests to their own students, incentive systems need strong oversight. The DCPS high school division failed badly on this front: Wilson placed a principal on leave earlier this month after discovering his staff changed attendance records 4,000 times—something that certainly would have shown up if someone was paying closer attention. 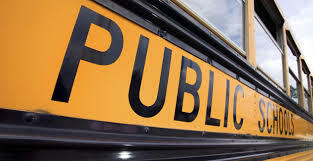 The public charter school board reviews and certifies graduates in the city’s charter sector; DCPS should do the same. In some ways, this should be the easiest problem to fix. Clear instruction to principals, combined with careful auditing, should ensure that no student graduates with 30 unexcused absences or with bogus make-up courses. But the underlying issues that lead D.C. and so many school districts to this point are far more intractable: students arriving at high school without the skills they need and missing so much school they never catch up. These issues affect students living in poverty far more than their peers. Starting in kindergarten, these students arrive unprepared for the work they need to do. Illness, housing instability and family crises keep these students from attending school regularly or engaging in the work there. We need to double down on efforts to address the debilitating impact of poverty on the city’s students. It’s a daunting task. But there are plenty of promising avenues to pursue. Mentoring programs, weekly teacher-students advisories, home visits by teachers and counselors have made a difference by increasing students’ sense of connection to schooling. There’s ample research showing that discipline problems decline and attendance rises in schools where students sense they’re valued. Even text messages to absent students and families saying they are missed helps on this front, as do courses designed around student contributions to classroom discussions. In the earlier grades, engaging parents is key. Schools should work far more closely with health care providers and social service agencies than they do. They track chronic absenteeism, for example, but rarely connect the data to other agencies’ information on homelessness, chronic asthma, and other major contributors. Bridging such data divides would signal to teachers and principals that students are struggling outside of school and promote collaboration to address students’ problems. Nor is chronic absenteeism just a high school problem in Washington’s impoverished neighborhoods; even many elementary students are absent for weeks, putting them on a path to failure. In D.C., officials also need to level the playing field for the city’s neighborhood high schools. The growing number of charter high schools are providing students more educational options (some of them stronger than others). But they can, and often do, recruit students selectively, decline to admit students mid-year (after they get their enrollment-based city funding in early October), and counsel students out who struggle academically or behaviorally. That leaves Ballou and other neighborhood schools in the city’s lowest-income neighborhoods with tougher jobs and fewer resources. The city needs to change its school funding formula to incentivize charters to admit more students and keep them, and to compensate neighborhood schools that must admit students throughout the school year. Nonetheless, the city’s traditional elementary and middle schools are improving. Selective high schools School Without Walls and Banneker are oversubscribed, as is Wilson, the neighborhood high school in affluent Ward 3. As the scandal at Ballou makes clear, the local high schools in the city’s impoverished neighborhoods are the last frontier of school reform in the District. Hopefully, Chancellor Wilson will take the recent revelations as a call to action. DCPS’ reputation as a rising urban school system depends on it. Thomas Toch is the director of FutureEd, an independent think tank at Georgetown University’s McCourt School of Public Policy, where Phyllis Jordan is the editorial director. Congress has failed on DACA. Here’s what must happen now.